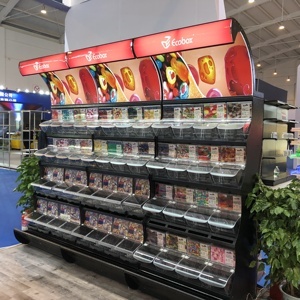 Question Question : Are you manufacting or trading company 9 Answer : We're manufacturing manufacture all types of metal & iron display rack. Question : What are the payment terms 9 Answer : TT,Cash And Trade Assurance Alibaba. Question : What are the Shipping terms 9 Answer : By Sea,FOB,CIF,EXW Question : What about the delivery time for bulk order 9 Answer ; About 20-35 days. 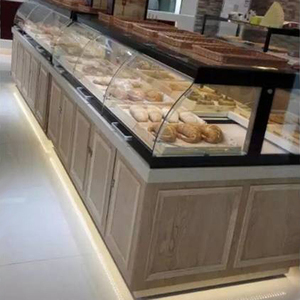 10 YRS Zhangjiagang Kingdom Shopfitting Corp.
Generally ,chrome plated shelves is better for dry environment use ,while powder coating or zinc plated covered by epoxy finish is better for wet enviornment use . 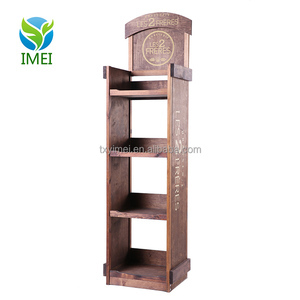 2, What about your lead time of a container order9 Answers : Generally 30 days for first order and 25 days for repeat order if your order are our catalog items. 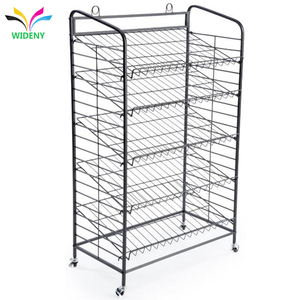 4, Can you make customized design wire shelves9 Answers : Of course yes ,we are professional of the manufacture on steel wire and round tube products . 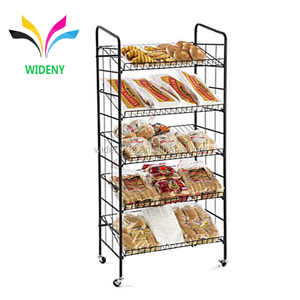 Alibaba.com offers 3,922 bread display rack products. 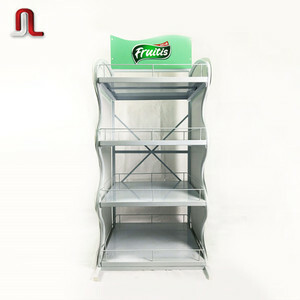 About 67% of these are display racks, 14% are supermarket shelves, and 4% are stacking racks & shelves. 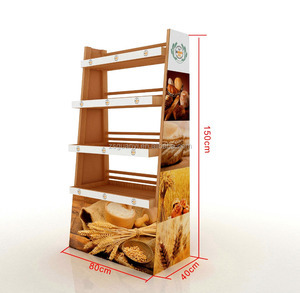 There are 3,922 bread display rack suppliers, mainly located in Asia. 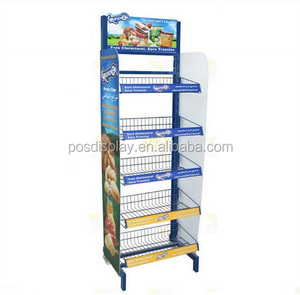 The top supplying country is China (Mainland), which supply 100% of bread display rack respectively. 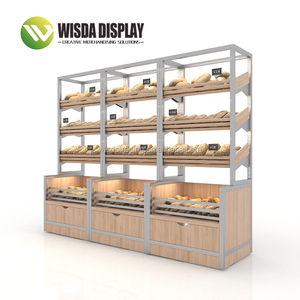 You can ensure product safety by selecting from certified suppliers, including 654 with ISO9001, 219 with Other, and 79 with ISO14001 certification.